Chlorella is a potent source of Vitamin B-12 and also contains Vitamin C, Vitamins B-1, B-2, B-6, and Folic Acid, Carotenoids, as well as B-Complex Vitamins, Magnesium, Potassium, Iron, Calcium as well as 19 amino acids. Great for Bearded Dragons, Crested Geckos, Chameleons, Tortoises, Iguanas, as well as Gut-loading Feeder Insects! Omega-3s: As with other algae, chlorella contains some omega-3s. Just 3 grams of chlorella delivers 100 mg of omega-3s. In animals, algae, including chlorella, has been found to weaken the heavy metal toxicity of the liver, brain and kidneys. chlorella has been shown to help lower the amount of other harmful chemicals that are sometimes found in food. One of these is dioxin, a hormone disruptor that can contaminate animals in the food supply. 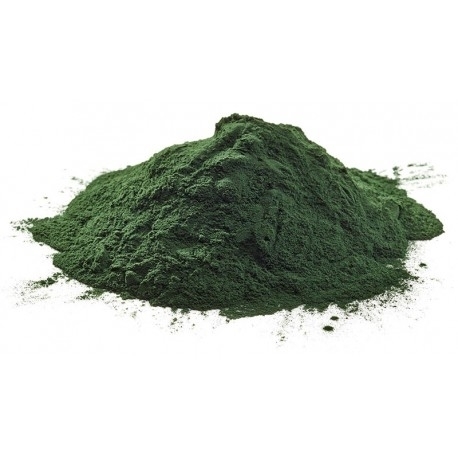 Chlorella has been found to enhance the immune response in animals.